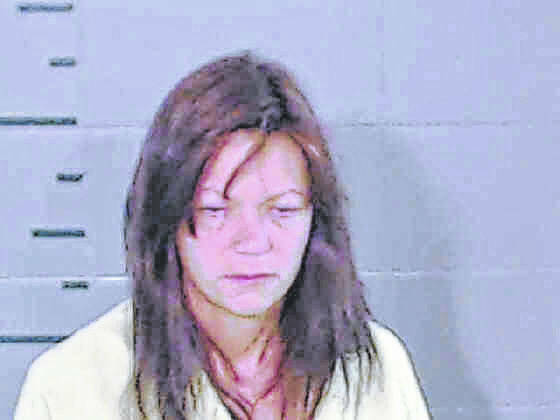 GALLIPOLIS — Izail Drummond, 39, of Gallipolis, was sentenced to 15 years in a state facility by Judge Margaret Evans of the Gallia Court of Common Pleas for a part in events which ultimately resulted in the death of Robert Thivener, of Gallipolis, last year. According to courtroom discussion, Thivener died July 30, 2017, after Izail’s brother, James Drummond, Jr., struck Thivener with a hammer in the head multiple times while the two attempted to rob him to reportedly purchase methamphetamine. Gallia Prosecutor Jason Holdren said Thursday, after Izail’s sentencing, that evidence did not point to Izail knowing that her brother intended to kill Thivener. James had packed a bag with coveralls and a claw hammer to bring to the crime scene. Evidence did point, however, to the fact that she and her brother did intend to rob Thivener at his residence on East Bethel Church Road in Springfield Township. Both siblings had a relative dating Thivener at the time of his death. Izail pleaded guilty to the crimes of first-degree felony complicity to manslaughter, first-degree felony complicity to robbery and third-degree felony tampering with evidence in December of last year and was sentenced Thursday, two days after her brother pleaded guilty and was sentenced to life in prison. James will not become eligible to apply to a parole board until after 20 years of his sentence has passed. Izail agreed to a plea deal with prosecution for the 15 year sentence. According to Holdren, immediate family of Thivener was counseled through the court process and had agreed that this was a satisfactory outcome. “It became clear to us that she was not close or else would have had some DNA on her when James struck the victim,” said Holdren. Holdren said that the night of Thivener’s death, James was the first to leave the vehicle and approach the residence. Izail was second. She was communicating with Thivener when, unbeknownst to her, said Holdren, James circled around the house and struck Thivener from behind while the other two were speaking. Video surveillance footage would later reveal that Izail was present when James disposed of the murder weapon in a dumpster on Third Avenue in Gallipolis. Izail apologized to “her family” and those who “were her family” for the actions taken that night before she was taken from the courtroom by law enforcement.